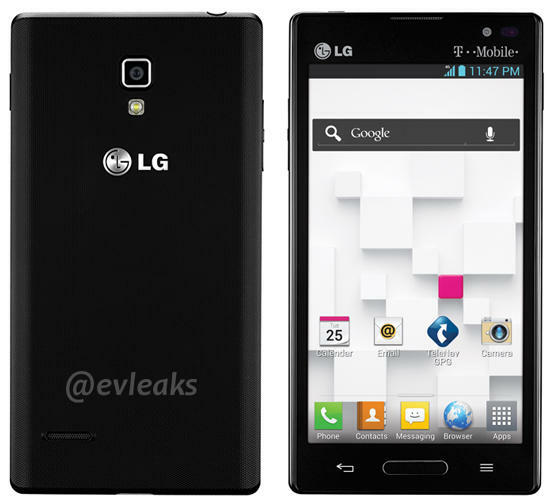 If you can remember back to Mobile World Congress, we first saw the LG Optimus L9 and it's fancy Quick Translator app. Later at IFA in Berlin, we had a little hands-on. Tonight we see it with T-Mobile branding plastered across the top bezel. We have no idea about any potential release date or price, or if this will even become "official" any time soon, but we do have a press render of the LG P769. The specs on the L9 aren't quite up to the same mark as the Optimus G, but it's still a more than capable device. A 4.7-inch qHD IPS display with a Gigabyte of DDR2 RAM, all powered by a 2150mAh battery should chew through just about anything you can throw at it. We'll keep an eye out for more about this one, but for now the picture will have to suffice.